"Reimagining Career Development: New Trends and Best Practices"
Join us for the third annual GCDA Mini Conference in Atlanta, GA. Our theme this year is "Reimagining Career Development: New Trends and Best Practices." We are excited to follow up last year's well received program with more informative sessions that will enable you to best serve your clients. Visit the event page for registration information. Free parking is available on site for all attendees. Directions to the parking deck may be found here. New member special! $119 -- Renew or begin a new GCDA membership and get a discounted rate for the Conference! After renewing or joining, please email kdewald@uga.edu to verify your membership. You will then receive a special promo code to sign up with. Rich Feller Ph.D (richfeller.com) has served as NCDA President, consultant to NASA, UN, NFL, AARP, and international and small companies. Lead trainer for the JCTC/JCDC Coach Certificate held by 8K coaches (http://www.careernetwork.org/Training-Certification-2.cfm), and Professor of Counseling and Career Development and University Distinguished Teaching Scholar at Colorado State University. He’s co-authored 3 books, 6 film series, and the Who You Are Matters! (onelifetools.com) game. Chief Scientist to www.youscience.com and thought leader for www.lifereimagined.org he’s presented in all 50 States and on six continents. Keynote: "Reimagining Career Development: Helping our clients move forward in their career transition"
This interactive and video enhanced presentation will engage participants to examine their own career transitions as they evaluate tips, tools and techniques useful in helping clients navigate a lifetime of transitions. Kim Meredith and Lanie Damon: "Enhancing Professional Identity: How We Practice Our Own Career Development"
John Long: "Coaching Interventions for a More Mindful Career"
Tamara M. Allen: "Entertain to Retain: Creative Approaches to Career Services Presentations"
Summary: Offer your students/clients a practical path to a more mindful career journey — whether they are just starting out in the working world, in a mid-career change, or even aiming to retire and do something entirely different. Provide very real-world guidance that your students/clients can put into practice immediately, while helping them be mindful of the process of positive change. Embracing a growth mindset to continue learning and evolving from one career role to the next. Bio // John Long is a professional coach, university instructor and program facilitator. His private coaching practice has offices in Atlanta, GA and Jacksonville, FL. John specializes in career and life coaching, and is the author of the August ‘17 book, Career Judo – The Martial Art for the Mindful Career. He also teaches undergraduate courses in education, human services and psychology. John is a graduate of the University of Missouri-Columbia, where he completed an educational specialist degree with a major in counseling and educational psychology. He also holds a master of science degree with a concentration in career development. His professional credentials include: Board Certified Coach, Certified Master of Career Services, Certified Career Services Provider, Global Career Development Facilitator, Certified MBTI Practitioner, and qualified Strong Interest Inventory Practitioner. John’s work with students and clients takes a strengths-based approach blended with elements of positive psychology and solution focused change. 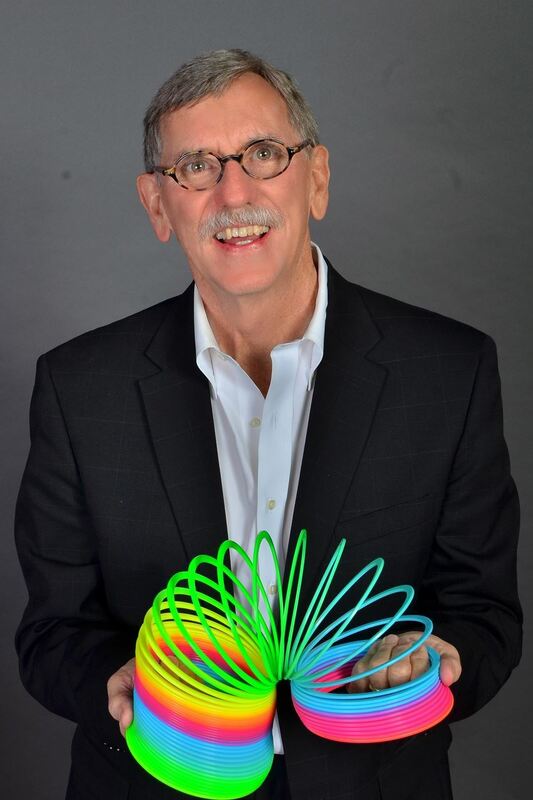 John has been a contributor to NCDA’s Career Convergence and Career Developments publications and has presented at multiple NCDA Annual Global Conferences. John currently serves on the NCDA Credentialing Commission and the NCDA Committee on Diversity Initiatives and Cultural Inclusion. Marshall Tucker of Two Roads Resources - Atlanta, GA will serve as a co-presenter. Summary: Anyone involved in career exploration, development or management spends a great deal of time encouraging their clients to network, but many professionals find it hard to remain active in networking activity. This presentation will provide participants with a clear, easy to follow model for networking that will allow them to be a more efficient service provider. Bio // Andrea Holyfield is a managing consultant with more than ten years of experience in career management, coaching and consulting. She is a sought after facilitator on topics such as brand management, networking and navigating change. In December of 2017 Andrea joined Warren Averett Workplace as a consulting manager where she is charged with leading business development and client engagements for the Atlanta market. Prior to that she worked in private practice assisting mid-level professionals through career exploration and transition while supporting a global career transition as a career consultant. Andrea’s diverse background includes experiences in non-profit, higher education and corporate outplacement. She is an active volunteer in her community. Andrea has a B.S. in Journalism and Mass Communications from Kent State University and a M.S. in Professional Counseling from Georgia State University. She also holds a post masters certificate in Women’s studies from Georgia State University. that should be presented, certifying all aspects of career development have been disclosed. Bio // Tamara M. Allen is a Lean Six Sigma certified professional life coach, career consultant, public speaker, workshop facilitator, and licensed officiant dedicated to improving growth and development of individuals, organizations, and communities. As graduate of the University of Kentucky, she brings the ability to develop and implement programs as well as skillfully educate/guide underrepresented individuals. Her mission is to be an educational leader, providing quality services that promote diversity and inclusion, driving the ultimate goal of individual success for a better community. Summary: This presentation will emphasize peer consultation, identity and efficacy for career development professionals. In an experiential activity, participants will have an opportunity to experience peer consultation. The conclusion will summarize strategies that participants offer for keeping current with the world-of-work and connecting practices to better serve clients. This presentation is the result of recent professional collaboration and consultation between two long-time GCDA members. We will share our process of peer consultation, which led to this program, examine the background/resources of professional efficacy for career counselors and other professionals, and provide an experiential activity for participants to experience peer consultation. We intend to conclude with a practical summary of strategies used to stay current with perpetual change in the contemporary work world engaging us and our clients. Bio // Kim Meredith is a Licensed and Nationally Certified Professional Counselor, a Distance Credentialed Counselor and a Certified Federal Career Coach. She is in her twenty-second year of work in higher education with appointments spanning across Enrollment Management and Student Affairs. She is currently working as the Assistant Director in Mercer University’s Center for Career and Professional Development. Kim has a Bachelor of Science in Service Learning and a Master of Science in Community Counseling (CACREP). Empowering people to find gratifying careers and live confidently and authentically is Kim’s calling. Her specialty is working with adult learners in higher education helping them to explore and discover their next career step and inspiring them to align that step with their personality, values, skills and interests. She is an advocate for U.S. Veterans, Mothers and professional career development counseling. Kim has been an active member of the GCDA since 2006. She has served on the Board of Directors for multiple terms and is currently the Database Manager for GCDA. She has been a member of NCDA since 2006, has attended three recent conferences, and is currently an active member of the NCDA Veteran’s Committee. Bio // Lanie Damon has worked in career management and development for more than 20 years, counseling adults and students to career decision making and career transition. Her professional background includes teaching at the undergraduate and middle school levels, recruiting, sales, consulting, supervising career counselors, and counseling. She has worked in small entrepreneurial environments, for major Wall Street firms, in for-profit and private educational settings, the federal government, and in public universities. Her experience from these varied work settings and roles creates a broad base from which to ask probing questions and make suggestions for exploration. She particularly enjoys working with clients around values and values clarification. Lanie holds an M.S. in counseling and a B.S. in secondary education from the University of Kansas. She certified as a Distance Credentialed Counselor, a Licensed Professional Counselor, to interpret the Myers-Briggs Type Indicator, the Strong Interest Inventory and the Birkman First Look, has worked with the DISC, and is a Highlands Company affiliate, certified to interpret the Highlands Ability Battery. She is a member of the American Counseling Association, and the National and Georgia Career Development Associations.